Short-term counselling telephone and face to face using CORE on-line recorded measurements and evaluations system. I have done long and short term contracts for the private and public sectors. I have written, designed and delivered training courses, also I have delivered courses designed by other organisations e.g. Strengthening Families and Strengthening Communities and the Mental Health First Aid. 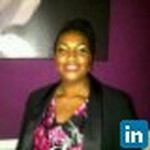 I do face to face, telephone and Skype counselling with all the paperwork, or on line Core system as needed. I counsel individuals, couples and small family groups, face to face, telephone and Skype. I train small and large groups therapeutically or mental well-being related e.g. Successful Marriages, Loss and Bereavement and Mental Health First Aid. I gained a wealth of experience and understanding in the art of communicating and enhanced my listening skills. I have understood about how individuals frames of reference impact their views and therefore their outlook on life. From my learning I have chosen to work holistically with people as individuals and in groups. Join Today to follow and contact Novelette Aldred.